Do you love reading as much as cooking? I do and so a book that can combines my two passions is a winner for me. 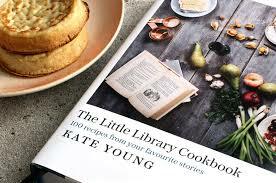 'The Little Library Cookbook' by Kate Young does just that! Food writer, Katie Young has put together a collection of 100 recipes inspired by novels - find Paddington Bear's marmalade, or turkey curry from Bridget Jones's Diary or Dr Seuss-inspired green eggs and ham. There's a Neopolitan pizza from Elena Ferrante, afternoon tea at Manderley and much more. This attractively produced cookbook covers Before Noon breakfasts and Around Noon lunches as well as Family Dinners and Midnight Snacks, capturing the magic and wonder of the meals enjoyed by some of our best-loved fictional characters. Beautifully photographed and with 320 pages divided into chapters to take you through the day, Katie Young as done a wonderful job in combining food and fiction. 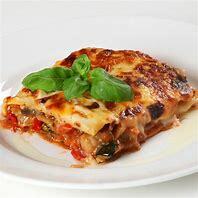 Published by Head of Zeus in October 2017, 'The Little Library Cookbook' has a retail price of £25.00 in hardback but can be purchased online via Amazon Books at £12.50 with a Kindle edition at £1.89. (ISBN -10: 1784977675).